In this 5-day Culinary Academy, students will be introduced, hands-on, to all the aspects of the kitchen. They'll learn about kitchen equipment, safety, knife skills, and hygiene. Then the real fun begins as each camper will make their own foods like pizza, tacos, and the 5 mother sauces. We'll have a day of flavor dynamics where we focus on tasting and understanding the foundations of flavor. On the last day things will heat up with a Secret Ingredient Competition! 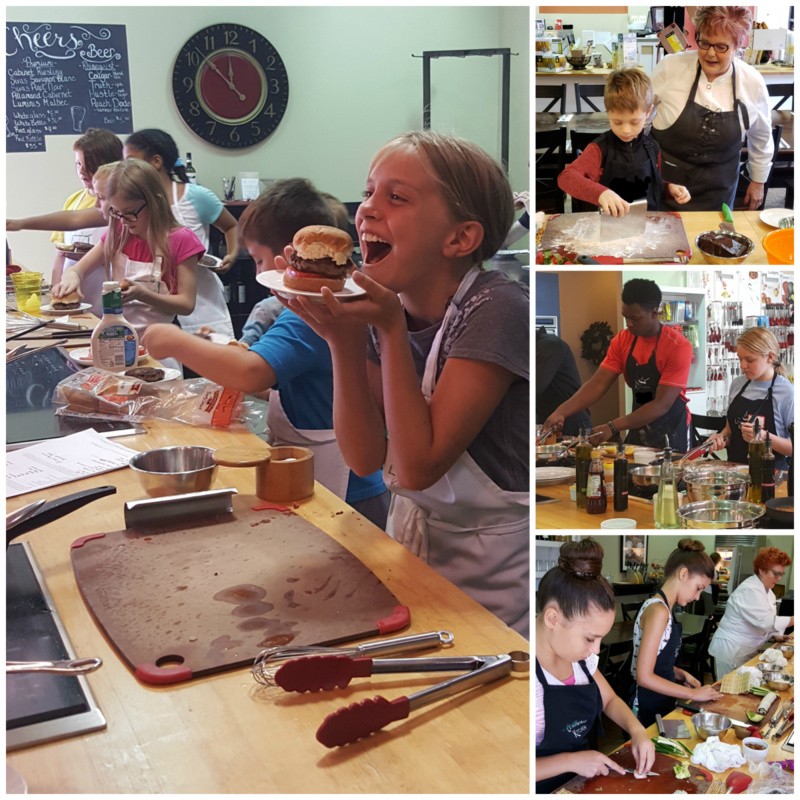 3 Squares and a Sweet is a five-day culinary exploration of every day American fare where students will learn hands-on how to make everything they need to fuel their bodies from sunrise to sunset, then use the skills they've learned to compete for a prize in a culinary battle! Students will spend one day each on breakfast, lunch, dinner, and dessert learning related techniques, recipes, and nutrition. On the final day, the Secret Ingredient Competition challenges students skills, knowledge, and creativity. Around the World in Four Cuisines is a five-day culinary tour where students will learn hands-on how to make traditional dishes from four distinct cultures, then use the skills they’ve learned compete for a prize in a culinary battle! Students will spend one day each in Mexico, Greece, Thailand, and Japan learning related techniques, recipes, nutrition, and a little bit of culture. On the final day, the Secret Ingredient Competition challenges students skills, knowledge, and creativity. Classes are limited to 12 students with one Chef Instructor and two support staff. Each student cooks individually at their own cooktop and prep station. No group cooking here! Every day, campers will cook a full meal, and usually have leftovers to take home!